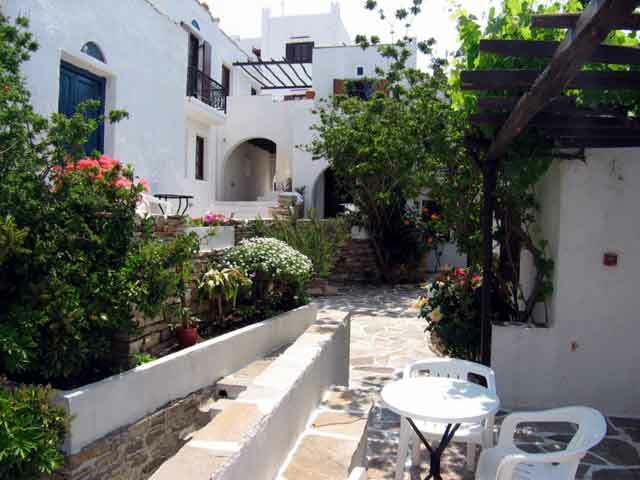 IN THE WONDERFUL ISLAND OF NAXOS. 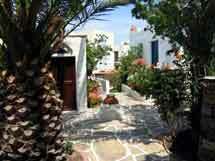 NASTASIA VILLAGE Hotel is a small, traditional, family unit, situated in the center of town in Naxos island. 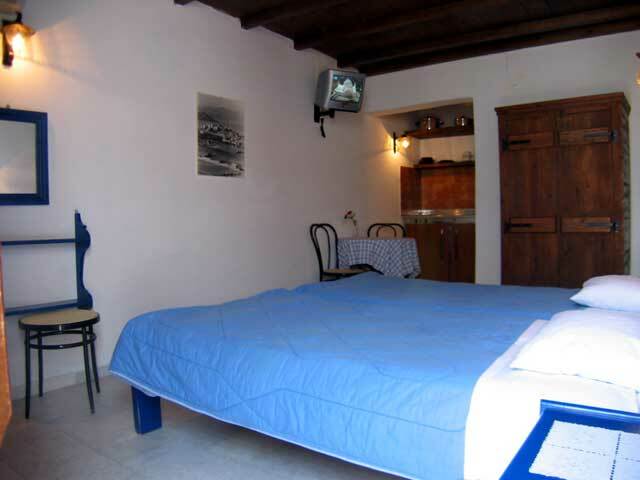 It is consisted of 18 rooms, all of them equipped with telephone, air-condition, refrigerator, t.v., cousinette. 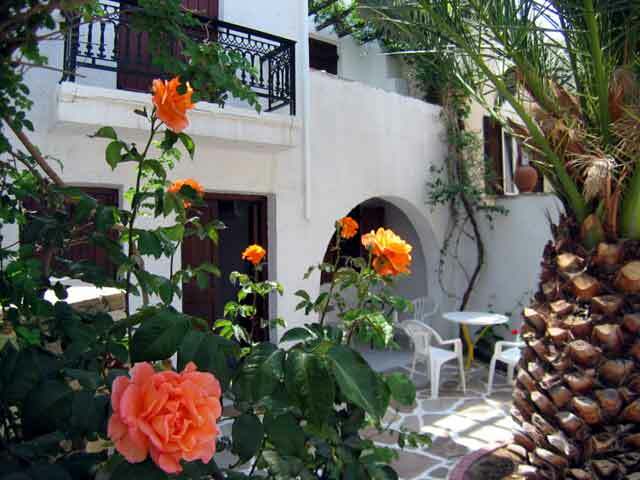 Some of the studios have view to the sea and some to the town of Naxos, but all of them have great verandas or small yard with garden full of flowers and wonderful view. 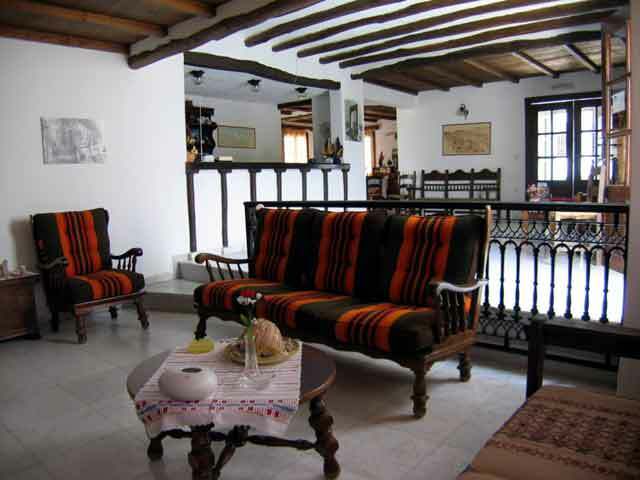 The wooden furniture�s exists almost everywhere, not only in the rooms but also in the great breakfast room – living room – Reception. 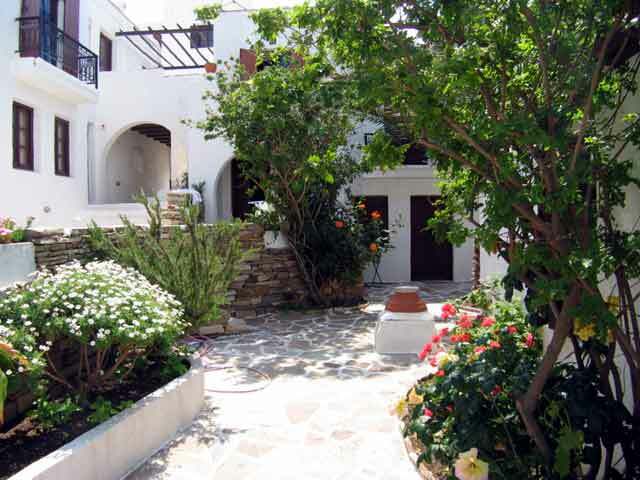 Nastasia Village hotel is located very close to the St. George beach, with super markets and other shops around, in a distance less than 100 meters from the bus-stop to all the villages and the endless and outstanding beaches of Naxos ( St.Prokopios etc ). 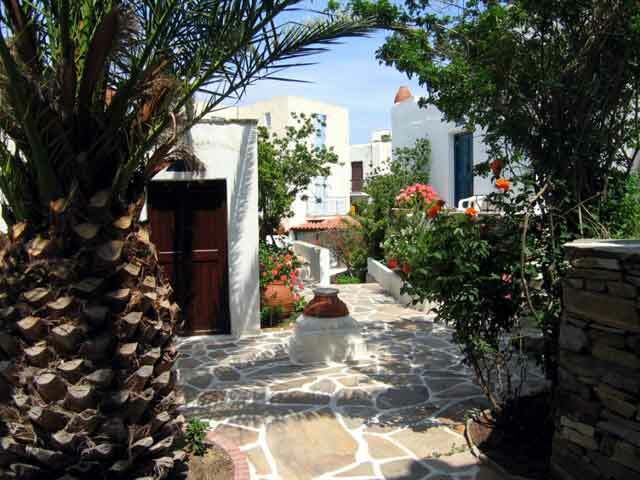 The hospitality of Nastasia Village hotel, makes it a perfect place to spend your vacations here in Naxos island. 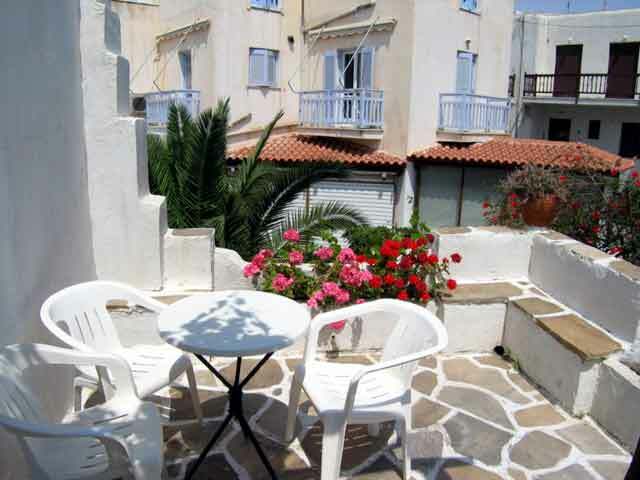 The every day well-cleaned, peaceful and comfortable rooms with the friendly atmosphere will guarantee that you will spend in Nastasia Village hotel the vacations that you dream of.